The rental price includes fees and taxes as well as bed linens, towels, bath products as well as cleaning upon departure. We also provide weekly cleaning and change of bed linens for guests staying 14 days or longer. How do we get access to the property? Our local representative will meet you at our vacation home and provide an orientation of all amenities and equipment. This rep will be your main point of contact during your stay if you have any questions. Can we have more guests than listed for each home? As we endeavor to provide our guests the most comfortable vacation experience possible, we do not accommodate requests for extra guests beyond the maximum number of guests listed for each vacation home (including children). Do you provide baby cots and high chairs? We provide baby cots and high chairs available at no additional charge. We ask guests to bring their own baby blanket for the cot. Our representative will be at the vacation rental home to greet you after 16:00 for check-in and will be back before 10:00 on the day of check out. Guests who expect to arrive before 16:00 should co-ordinate with our representative about an earlier check in or luggage storage until your vacation home is ready for your stay. Do all rentals start on Saturdays with a minimum stay of seven nights? In general, we require a minimum of seven nights starting on Saturdays (generally from mid-April through October). During the rest of the year, guests can reserve for shorter vacations. When and how do we pay for our rental? We require 50% of the rental fee to secure your stay. The remaining rental payment is due one month before your vacation home rental. We also require that a refundable security deposit is paid one month before your stay that will be returned within one week after your departure. Rental payments can be made by bank transfers or by credit card through PayPal. We charge a 3% administration fee for all credit card payments. Please refer to our terms and conditions for more detailed information. We strongly encourage guests to take out travel insurance in the unlikely event you need to cancel your booking due to illness, death in the family, etc. Some credit card companies even offer travel insurance. There is an underground parking garage located near the Vauban Port in Antibes at 20 Avenue de Verdun. This garage is easy to access with bigger cars. This parking garage is closest for Maison Baieta, Marina and Picasso. The cost of parking the car for a week is 61 Euros/week and 111 Euros/month. Please consult Q Park's website. How can guests get a weekly parking pass? To pay for the weekly parking, use the automatic payment machine at the entrance to the garage. Take the ticket you got when you first entered the parking garage to this machine. Push the language button (first button for English) then the second button that says “Flat rates." Please note: Do not insert ticket into the machine until you choose “Flat rates” or the machine will charge you for the hours you parked already for that day. You can register for weekly parking only after 30 minutes entering the parking garage (but before 12 hours have passed since you first entered the garage). You will be able to choose the number of weeks you want to park after selecting Flat Rates. Please use cash (the machine only accepts 5 Euro or 10 Euro bills) and does not accept many non-French credit cards. You will receive a new card from the machine to use to enter and leave the garage each time. Make sure to keep this card in your car. Do I need to reserve a space in the parking garage? Guests sign up for a weekly parking pass when they arrive. None of our guests have had problems obtaining a weekly pass upon arrival. Please refer to the instructions as getting a weekly pass is complicated. Is there free parking available in Antibes? There is free parking all-year round in front of Fort Carre (about a 15 minute walk). Alternatively, there is free parking at Salis Beach from January to June 15 and after September 16. 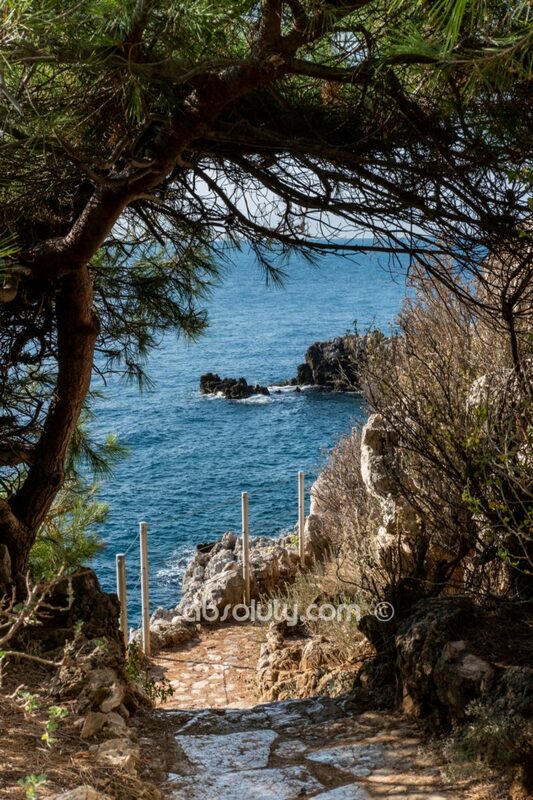 Salis Beach is about a 15-minute walk away from Antibes town center. Can I rent a car in Antibes? Sixt, ADA, and Hertz have offices in Antibes near the train station or on Blvd Albert 1. Many of our guests rent a car for day trips. There are also rental cars available at the Nice Airport. We would not recommend renting larger cars or SUVs as the entrance to the parking garages are small and the roads in the old town are narrow. 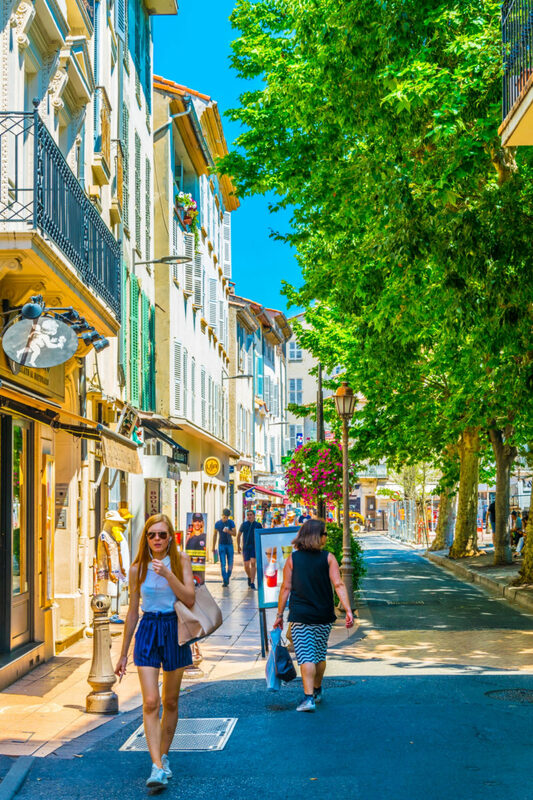 Where is the closest airport when vacationing in Antibes? The closest airport to Antibes is Aéroport Nice Côte d'Azur, which is located 25 minutes by car from Antibes. Are there trains from the airport to Antibes? The French national train service (SNCF) has a train station (St. Augustin) which is located a 15 minutes walk from the Nice airport. There is a free shuttle bus from the airport to near the train station. It takes about 20 minutes to travel to Antibes station from the Nice airport. For more info check SNCF website. Is there an Express bus to Antibes from the Nice airport? The Lignes d’Azur 250 Express Bus leaves from both terminals (Terminal 1 at Quay 6 and Terminal 2 at Quay 1) and takes about 40 minutes travel time to Antibes. The bus leaves the airport twice an hour starting at 8:10 until 20:20. The cost for the bus ride is 11 Euros one-way and 16.50 Euros for a return ticket. For more information please consult the Nice Airport site. How can I get from Antibes to the Nice Airport by taxi? We recommend using a private car service. We can help you to organise this travel. They know our properties well and can coordinate the host meeting you at the vacation rental. Antibes SNCF train station is located about a 10 to 15 minute walk from our homes in the old town of Antibes. From Antibes, there are trains that travel throughout the region and country. Our guests use the train for visits to Nice, Cannes, Monaco, Aix-en-Provence, etc. The TGV high speed trains to Paris take about 6 hours. 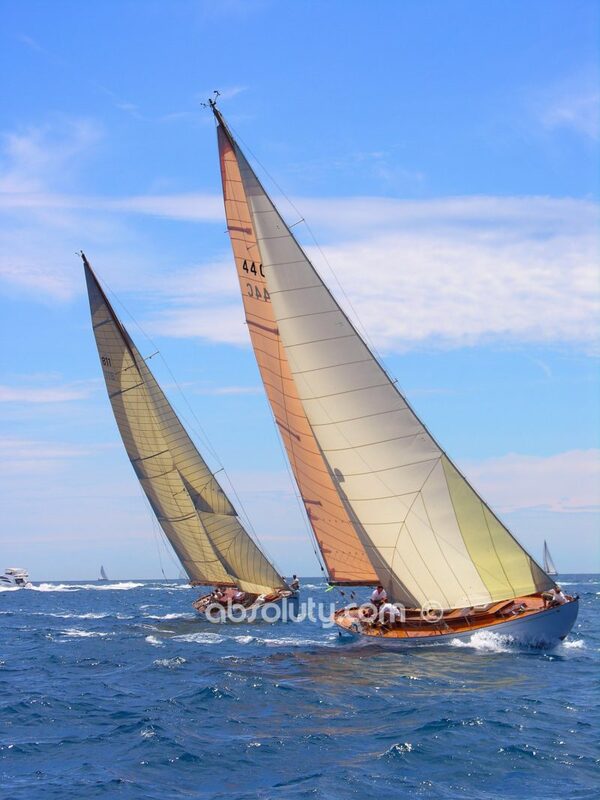 How do I get to Antibes by car? There are several roads leading into Antibes; for a scenic coastal drive, use the RN98 and RN7 from Nice/ Cagnes sur Mer, or using the A8 Autoroute and exit at Junction 44.